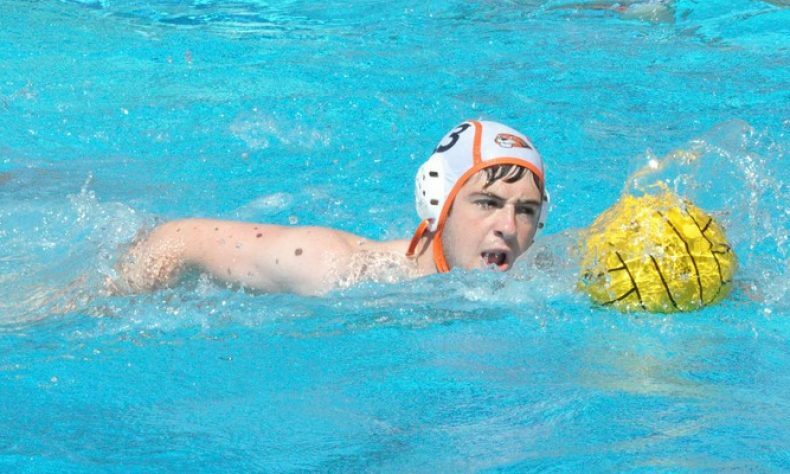 Freshman center Steven Csaposs (Davis, Calif. / Davis) found the net three times as Caltech Men’s Water Polo fell to the University of La Verne on Saturday afternoon. Two of Csaposs’ goals came in the first period, the first two goals of the day for Caltech. The Beavers had their most offensive success early, scoring three goals in the first period. Csaposs, one of the Beavers’ key freshman contributors this season was once again a force on offensive and defensive possession. He drew three exclusions and fired an additional nine shot attempts to lead the Beavers. Caltech also did well in forcing the Leopards into turnovers. Freshman Rahul Arun (San Diego, Calif. / Torrey Pines) led the Beavers with three steals and junior driver Eshan Govil (Redwood City, Calif. / Sacred Heart Prep) had two steals. Junior John Lloyd (San Diego, Calif. / Torrey Pines) got the start in net and made seven saves for Caltech. Head Coach Jon Bonafede and the Beavers will have a few days off before they return to action at the University of Redlands on Wednesday, Oct. 4.